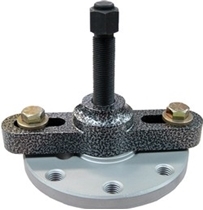 Tiger Tool 10850 Automotive Yoke Puller is a driveline tool that simplifies and expedites the removal of automotive yokes on drive shafts, transmissions and rear-end differentials without damage to the yokes. Simplifies and expedites the removal of automotive yokes on drive shafts, transmissions and rear-end differentials without damage to the yokes. 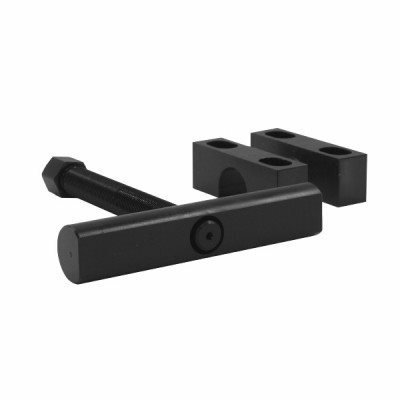 Tiger Tool 10851 Automotive Flange Style Yoke Puller simplifies the removal of automotive yokes on driveshafts, transmissions and rear-end differentials without damage to the yokes. 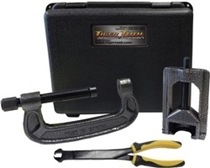 Tiger Tool 20503 Automotive Universal Joint Kit Package comes complete with a universal joint puller, bearing cup installer and hotchkiss snap ring pliers to fit cars, light to intermediate sized trucks, and various farm machinery, etc. Tiger Tool 10105 Universal Joint Puller is a driveline tool designed to fit cars, light-duty trucks, and farm machinery.